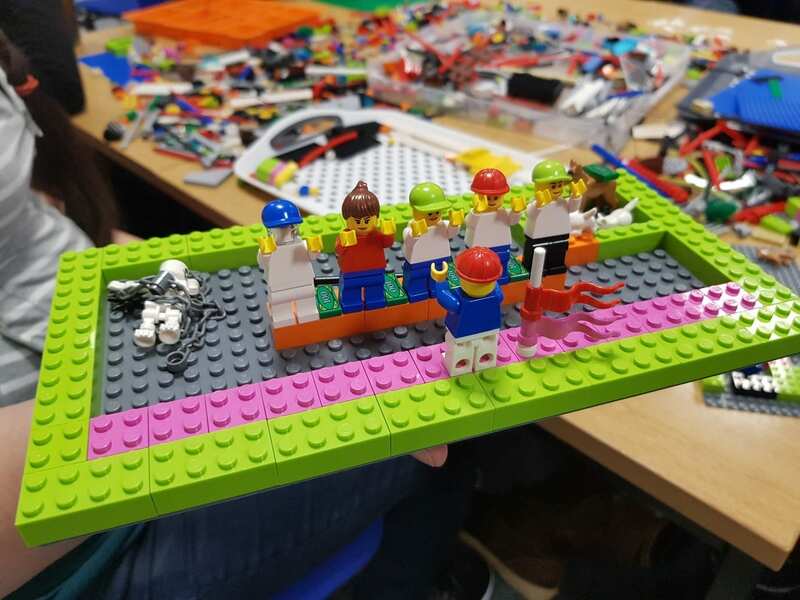 In my last article I introduced the 4 key steps to running an LEGO Serious Play (LSP) workshop, and now I want to share my experience on how LSP helps with student engagement, especially when it comes to asking students to share their thoughts. I recently asked a group of my students to reflect on what they learned through group work, using LSP. They built the challenges faced by the team and then made changes to make the team work better, all using the bricks. Everyone shared something different and we all learned something new. One student explained their team could perform better by letting everyone be on the same level platform and putting away things that distract them in the corner (a true work of art as you can see in the below photo). I was delighted that EVERYONE shared their thoughts! This was tangible and excellent student engagement. There are plenty of ways to engage students and to encourage them to share their thoughts. We can ask them to do a presentation with PowerPoint. We can ask them to do an oral presentation. We can ask them to produce a podcast or a vlog post. We can ask them to draw diagrams. The list is endless. And there are always students who are willing and eager to share (Enter Hermione Granger ever eager to put up a hand and volunteer in class). They bring lots of energy and valuable student input in class. However, there are always some students who might be shy and would just happily stay in the background and let Hermione have the stage. So, the challenge is about getting MORE students to share their thoughts, on an equal footing. One of the reasons I like LSP is that it can lower the barriers for participation. Some students might not be very confident in giving a short speech, because it is scary to have to organise our thoughts and talk about it on the spot. Therefore, we find other ways that could be more interactive and engaging, such as group discussion or drawing the ideas. But many students still don’t want to draw because they fear they aren’t artistic or creative enough. With LEGO bricks, it is harder to go wrong. We don’t have to worry about whether we can draw a perfect tree or a person that is recognisable. We just put bricks together. If we don’t like it, its can be easily taken apart and rebuilt. A pile of LEGO bricks is likely to be less scary than a microphone, pens and big blank flip charts. With the bright colour bricks, nothing looks bad! As a result, I find students are more willing to try and share their thoughts. If you are looking for different ways to encourage students to share their thoughts, give LSP a try!